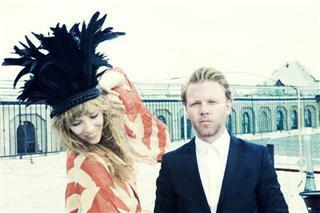 Niki & The Dove is a band from Stockholm, Sweden with two members, Malin Dahlstrm and Gustaf Karlf. Getting together in February 2010, Malin and Gustaf have spent the time since writing together, figuring out just how pop music works and then discovering new ways to break it. Their first single "DJ, Ease My Mind" b/w "Under the Bridges" released on leading UK independent Moshi Moshi, was one of the most striking debuts of the year, catching the attention of everyone from Artrocker and NME through to The Sunday Times who declared the single could "be the two greatest alt-pop songs of 2010." And if "DJ, Ease My Mind," revealed a band with a precociously fully-formed sound, their self-released follow up "Mother Protect" shows that Niki & The Dove are truly poised for great things. A riotous collision of barely constrained electronic pop overlaid with Malin's distinctive, glacial vocals, "Mother Protect" confirmed Niki & The Dove as a truly unique talent and ones to watch. 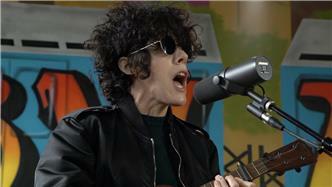 Despite being only available through the band's website, "Mother Protect" was heavily supported by the likes of John Kennedy on XFM, Radio 1's Annie Mac (who played the track during both her specialist evening and daytime shows), NME, The Observer and The Independent who said the track "grows brilliantly into a low-key epic." Niki & The Dove's songs are full of magic and light but with an unsettling darkness hidden beneath the surface. It's pop music but a world away from the production line aesthetics of much modern chart music. Not just a great studio act though, Malin and Gustaf's background working with theater and dance productions means that playing live is integral to the band. Drawing upon their wide circle of talented friends and collaborators, no two Niki & The Dove shows are the same, but they are always a spectacle as a sold-out North London crowd discovered last November on their UK live debut. 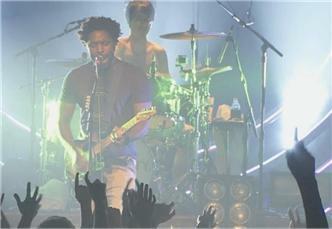 With their first-ever full UK tour in May expect the band to cement their place as one of the most exciting new bands around. 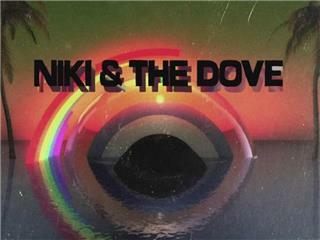 As The Sunday Times said Niki & The Dove is a "band who you felt could knock off a chart-pop stunner with ease if only they could be bothered. Luckily for us, they clearly can't."